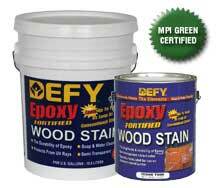 Defy Epoxy Fortified Wood Stain is best used for decks, fences, wood siding, log homes, wood shake roofs, and outdoor furniture. Use on older or more porous wood surfaces such as pressure treated pine. 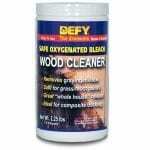 For new or denser woods, use Defy Hardwoods Stain.